all my themes settings are literally EMPTY. There's nothing there. even if this file exists. Any suggestions? this happened yesterday . I have exactly the same problem. It started when Plasma was updated to 5.12.90. I suspect the bug is there and we'll just have to wait until it's fixed. This bug Is related to kirigami package , if I not wrong.. it's used to render al new theme settings , but we have a wrong versión . Hope neon team fix this in final versión. sudo apt-get install qml-module-org-kde-kcm doesn't seems to solve it. same on my two systems, Arch Linux and neon dev unstable. 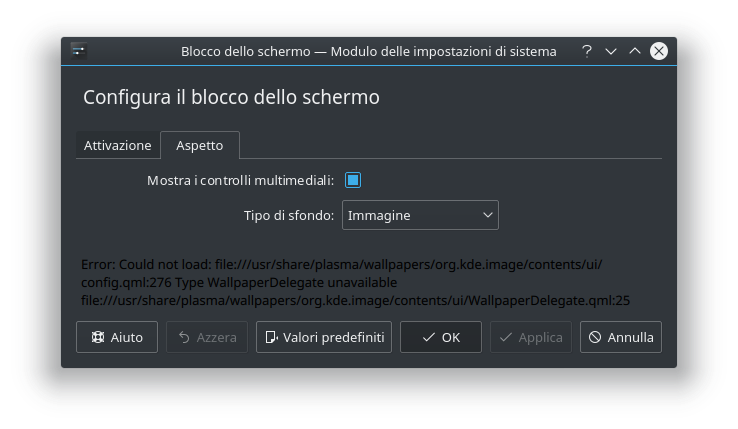 The problem related here and in the bug report exists since some KDE software (plasma and/or frameworks) released on some date near the bug report date. It never was fixed on my systems. Edit: I use system settings in icon view mode instead sidebar view. Last edited by Strangiato on Wed May 23, 2018 2:38 pm, edited 1 time in total. i find out "kcm_lookandfeel.so" is missing. should be there. Any ideas how to replace it? Problem solved with the new update. Bug was kirigami2 related. Great, tanks to the dev to fix this. I mention before this package was the problem. I'm glad I do not have to reinstall. Hi, I followed this post with real interest. I am trying to understand the role of Discover in KDE. Some days ago the Discover program went off. Should I really meed the program or it is enough running periodically pkcon refresh and pkcon update. 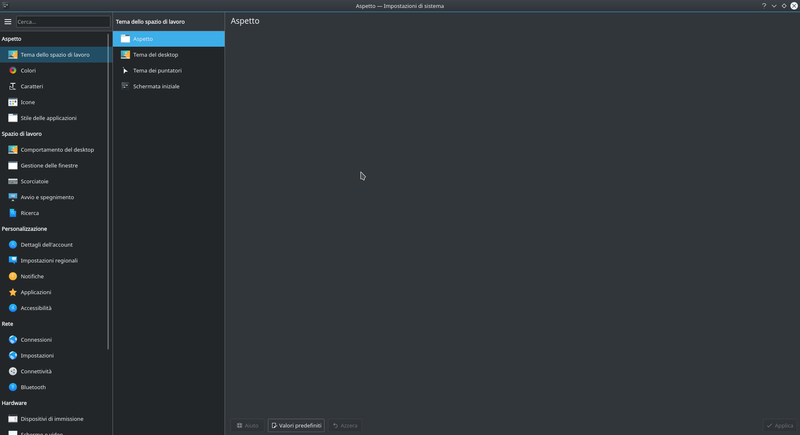 Obviously, I could not search for themes or any other KDE applications. But I could install an see them in the section system-settings. I tried to use plasma-discover until it disappeared and I could install programs but not themes. I will appreciate some feedback because I am new using KDE Neon, although i have 15 years running Ubuntu at work. I think KDE Neon is the best of both worlds.